Annotation: "What do the images on Nebraska's state seal stand for? How is Nebraska's state government organized? How much land in Nebraska is devoted to farming and ranches? You can find the answers to these questions in Uniquely Nebraska. 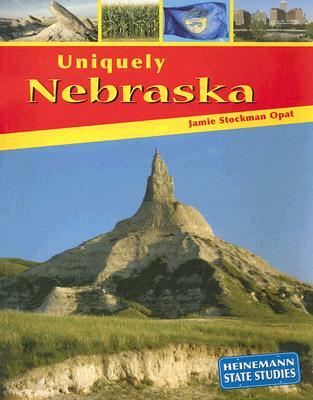 This book contains all kinds of fun and fascinating facts and features that help make Nebraska a one-of-a-kind place. Inside, you will also find information about Nebraska's unique state symbols. You can learn about Buffalo Bill and the first rodeo in the United States. You will find out why cattle and sheep are important to Nebraska. And, you will find out why Nebraska is nicknamed The Cornhusker State."